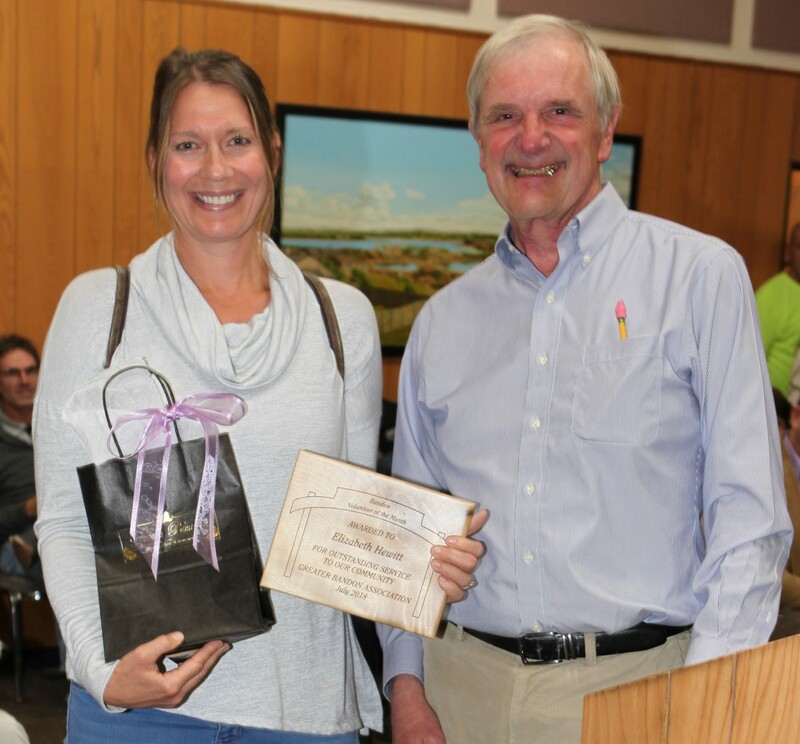 Elizabeth Hewitt was recognized by the Greater Bandon Association as Bandon’s Volunteer of the Month at the October 2nd meeting of Bandon’s City Council. GBA is beginning its fourth year of presenting this award to the many outstanding individuals that contribute to making Bandon a better community to live in. Elizabeth was presented the award in form of a plaque and a gift certificate from Devons Boutique. Elizabeth has been the volunteer Site Coordinator for the SMART program at Ocean Crest Elementary for three years. She is responsible for overseeing SMART reading sessions, training volunteer readers, liaisoning with school staff and tracking data. In her three years, she has served 160 children, supervised 60 volunteer readers who gave 1148 one-on-one reading hours and volunteered 605 hours. She also ordered, inventories and supervised book giveaway day which resulted 1796 giveaway books. Her smile and warm demeanor light up the room and she brings an infectious passion for literacy to SMART. The Greater Bandon Association will be honoring one of Bandon’s many volunteers that are making a difference in the community each month. Nominations for the May award should be e-mailed to harv@greaterbandon.org or mailed to P.O. Box 161 by close of business on October 26th.